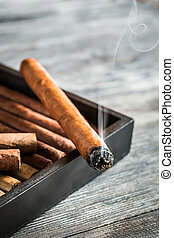 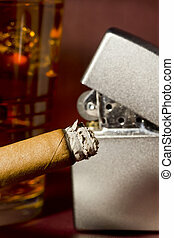 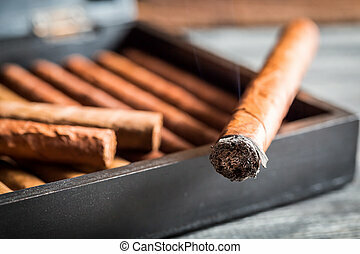 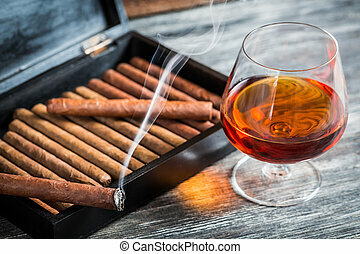 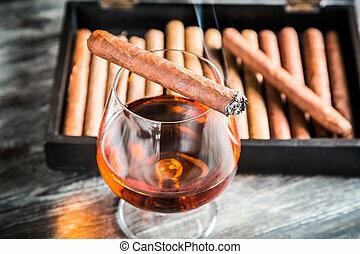 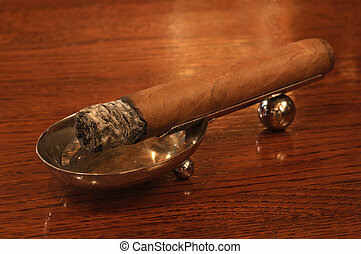 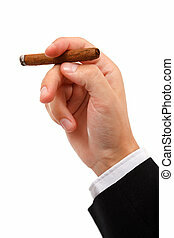 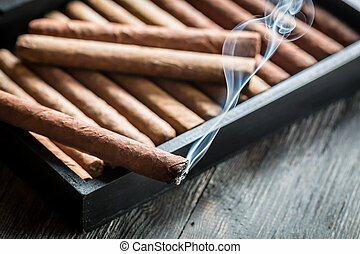 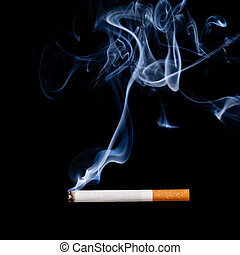 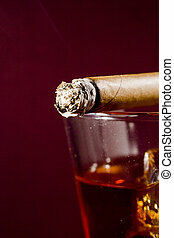 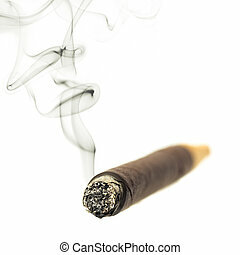 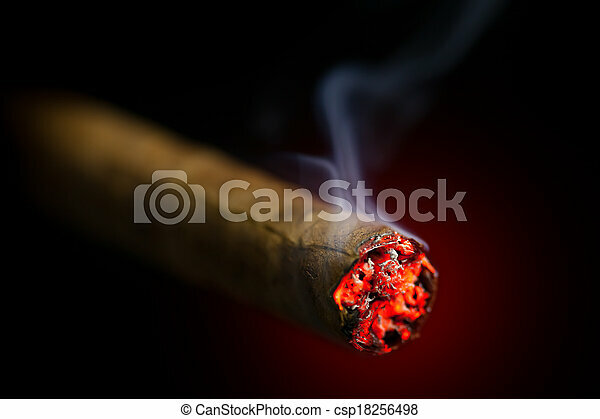 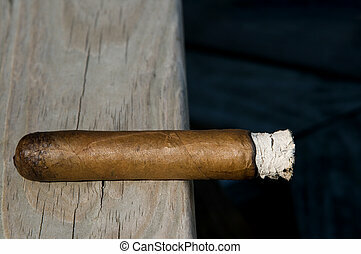 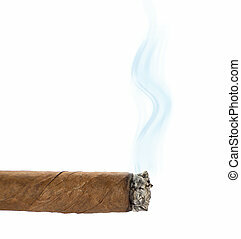 Burning cigar on red glowing background. 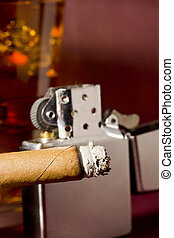 Close-up photograph of a burning cigar with a silver lighter in the background. 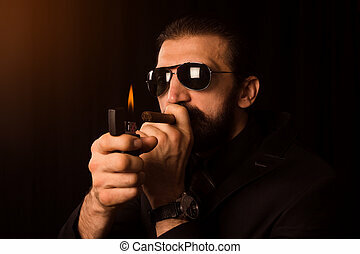 The elegant gentleman with sunglasses is burning his cigar with zippo on black background.